What are Tesio Methods and why should we use them? 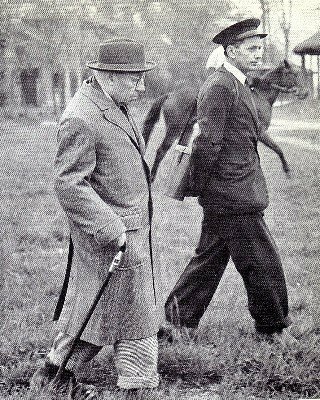 Federico Tesio, an Italian born in 1869, is one of the most significant people in Thoroughbred breeding ever. He is also an example and inspiration for those of us who want to create an excellent sport horse. He is called a genius by many because he possessed a remarkably analytical mind that was also highly intuitive and artistic. He applied his considerable intellect to the task of selecting and improving the genetics in his racehorse herd--long before genetics were understood, and what he designed made breeding history. His success record has never been equaled by another. We call the process he used Tesio Methods. Tesio methods is the name given to the statistically proven breeding practices that his pedigree designs inspired. If you want to be a success yourself you will want to learn what these are. Tesio did not share his secret of pedigree construction, not even in his book: Breeding the Racehorse. People pay attention to Tesio because he was successful--although that is an inadequate word to describe his legacy. If you breed race or sport horses you probably have many of his bloodlines in your stock already such as Nearco, Ribot and Donatello. Those of you who are strictly breeding German horses will find his taproot mare Nera da Gubbio behind the German Thoroughbred bloodlines of Neckar, Nerecide and Nordlicht--all three winners of the German Derby. Tesio focused on mares, he rarely kept a stallion, and his greatest foundation mare was a small mare named Catnip--the dam of Nera da Gubbio mentioned above and Nogara (dam of Nearco--the 'sire of the century')--read why this mare was such a powerful genetic force on The Mare. You can not escape his reach--if there is excellence in equine sport, then you will find his creations behind it. Tesio was a racehorse breeder, however these methods will work for Olympic style sport horses and any other type or breed of equine because the genetic principles remain the same. For an outline of those practices visit: Breeding Principles and from there access additional pages for your further understanding. This website and a book I have written will show you how to apply these same practices to your sport herds. I hope the articles you find here will give you a good start. 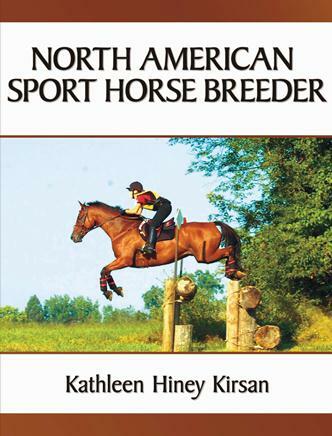 For your further and more detailed instruction: North American Sport Horse Breeder-- 20 %if ordered from this site.